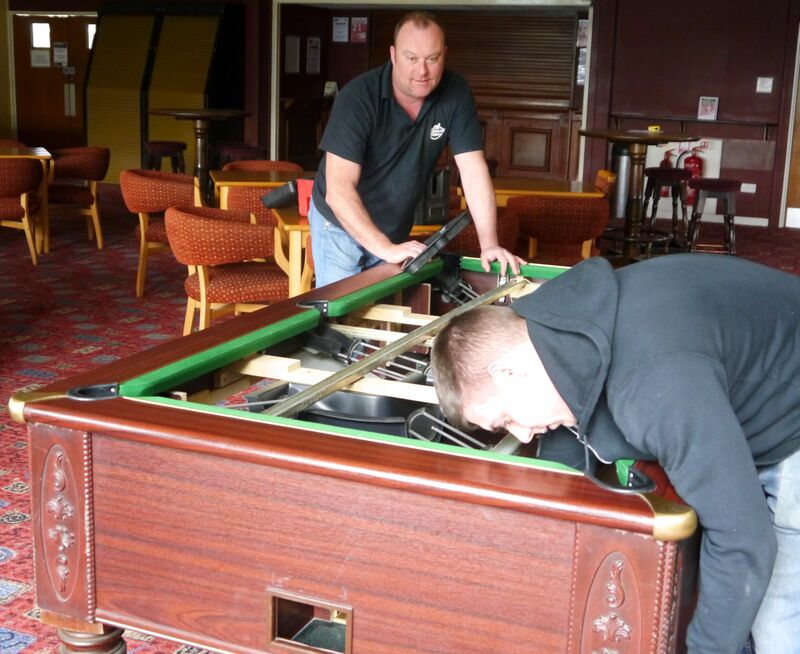 With the arrival of our pool table today (March 27th, 2014) the hunt is now on for players for ‘TheHolbrook Club Pool Team’. 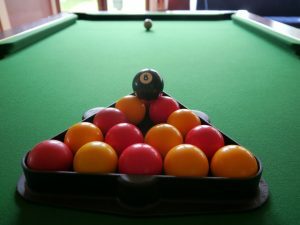 In addition, the pool table is available to play for all, at £1 per game – so no need to be in the team, come along and enjoy a game anytime. 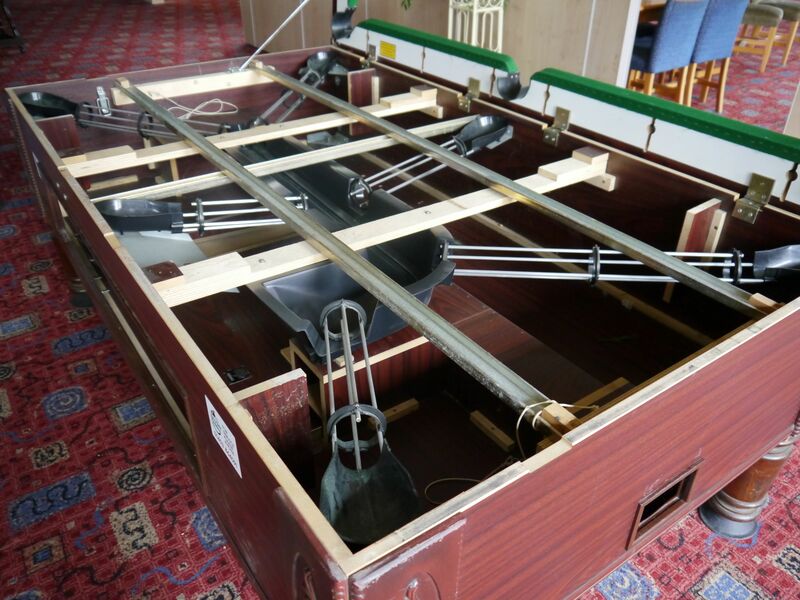 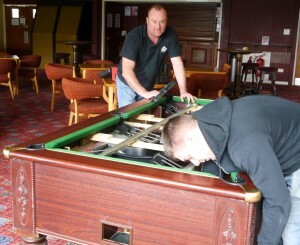 Below you can see the delivery and installation of our pool table; it is quite interesting to see the inner workings of the tables mechanism, where the balls go once they have gone into the pockets. 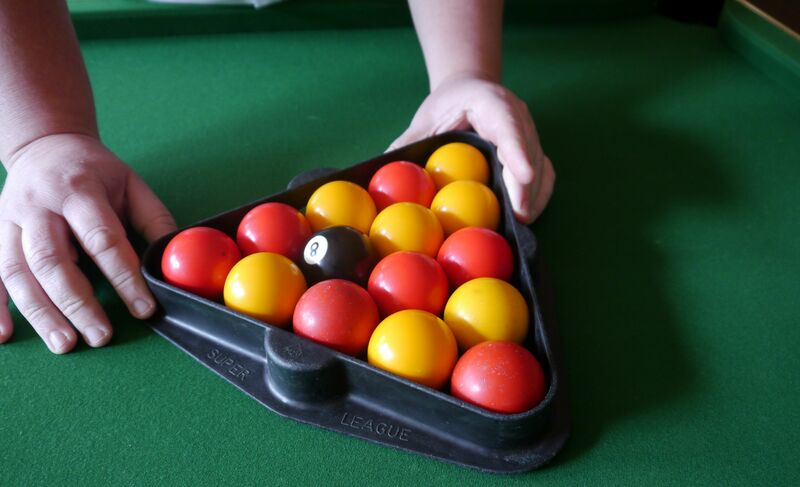 The balls were then racked up for the first time by our Food & Beverage Manager Eddie, who claims he cannot play Pool (but we’re not convinced that’s not a white lie!) 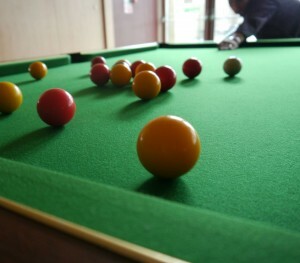 The honour of making the first break went to Andrew from our Grounds Team.